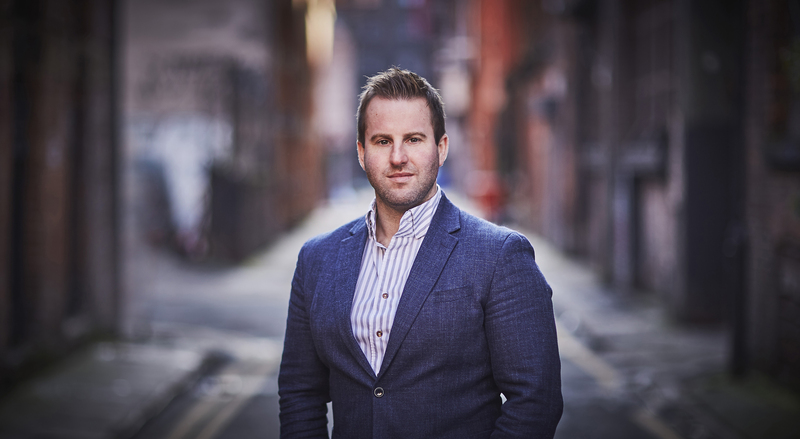 The guestlist boasted some of the biggest names in the industry and the agenda was packed with sessions set to inspire. 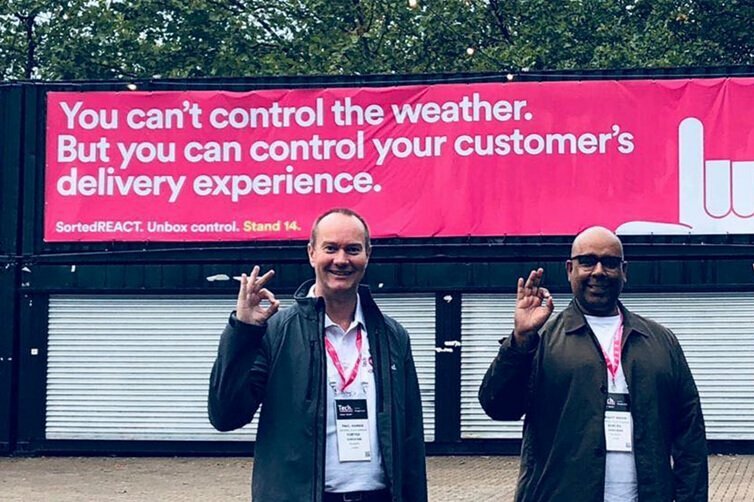 There’s no question that Retail Week Live is the single largest gathering of retail leadership in the UK. It’s a fact. But, this year, the world-class speakers and exciting workshops were overshadowed by one small stand in the corner of the room. 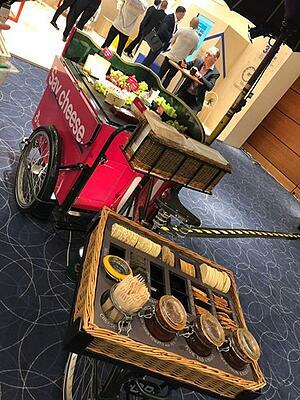 The Sorted cheese tricycle. So popular that it needed its own ticketed queuing system, bouncers were brought in to control the crowds and swarms of people were fighting to get served. 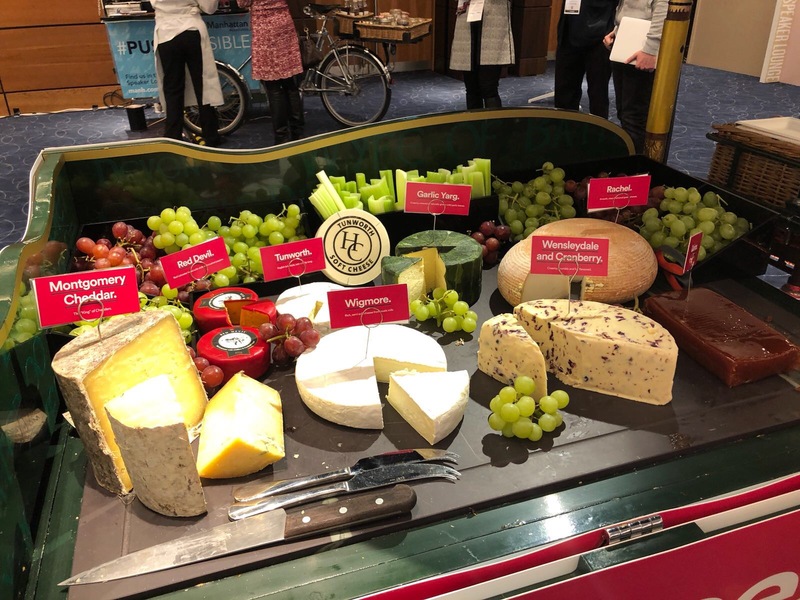 The cart offered a unique selection of crackers, cheeses, chutneys and fruits; all ready to be sampled by the delegates and speakers. Montgomery Cheddar - The “King” of Cheddars. Wigmore - A rich, semi-soft cheese made from ewe’s milk. 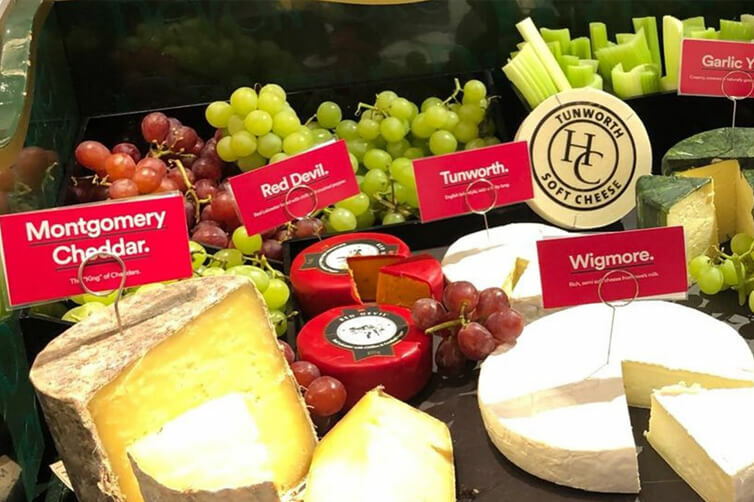 Tunworth - An English brie-style cheese, with an undeniable fruity tang. Rachel - Luxuriously smooth and clean, a favourite flavoured goat’s cheese. Garlic Yarg - Covered in naturally grown wild garlic leaves, this creamy cheese has an organic kick. Red Devil – A sturdy Red Leicester, laced with chilli and crushed pepper. Wensleydale and Cranberry – The old favourite. Creamy, crumbly and full flavoured, with a sweet finish. The cheese was the talk of the town. 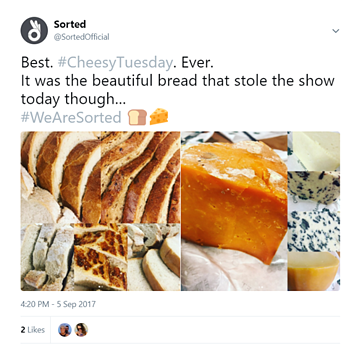 At Sorted, we take our dairy very seriously (if you hadn’t already guessed). 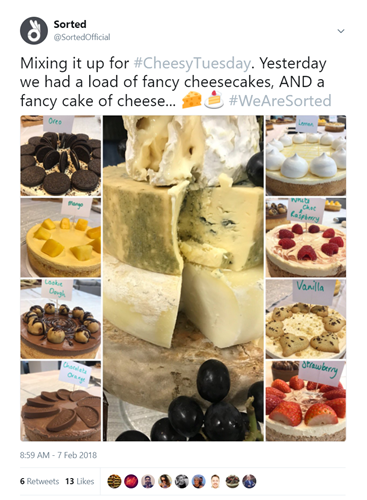 Although our expertise is very much in retail and delivery, one of our passions is eating/discussing/looking at cheese. 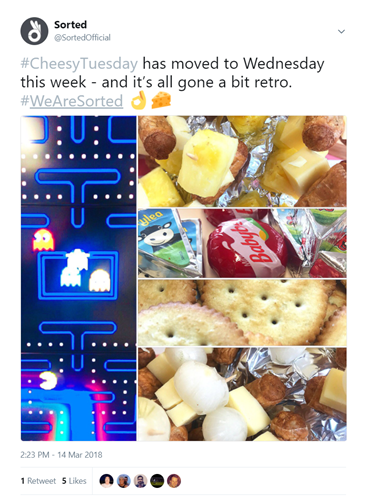 Our Manchester office is the coolest place to work in Manchester and we hold all kinds of activities, clubs, games and events for our team (just check out #WeAreSorted). They asked for a celebration of all things cheesy, so that’s what they got. 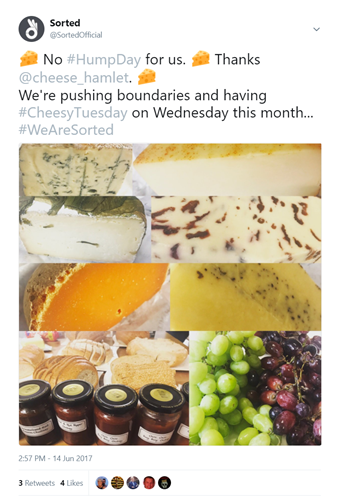 Each month, we hold a #CheesyTuesday afternoon; we create a show-stopping cheeseboard with all the trimmings – to be enjoyed with a glass of port by our hard-working tech experts. What do you think? Are we doing it right, or oh so wrong? Do you have recommendations of cheeses we could try? 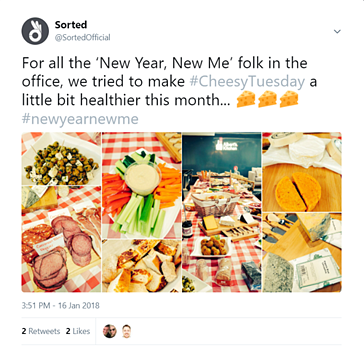 Or tips on how to improve our monthly #CheesyTuesday club? Let us know by tweeting us @SortedOfficial. 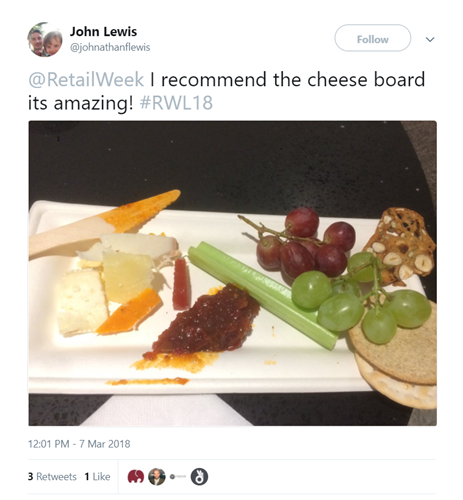 But the cheese wasn’t the only thing we put our name to at Retail Week Live. If you attended, you probably saw a lot of pink; pink bags, pink pillars, a pink stand, pink everything. 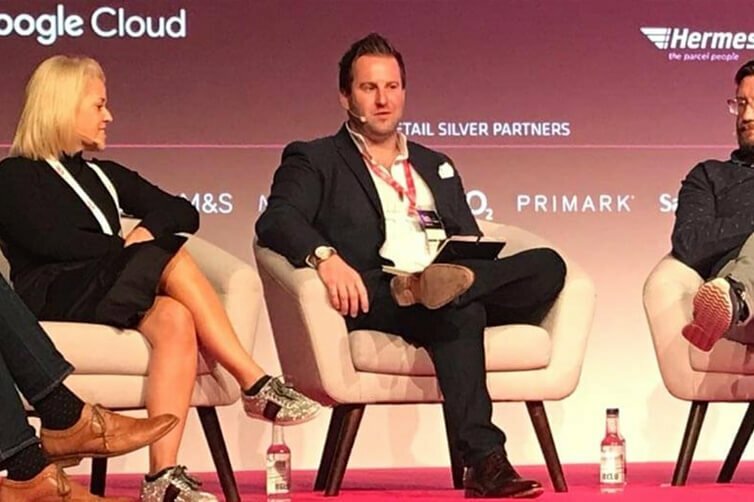 We were also joined by Wincanton, Footasylum and Dyson for a panel debate, where we discussed the standoff between retailers, carriers and consumers. You can read a summary of the session here.